Adele says today’s sad story in The West Australian of MS sufferer Barbara Harrison should send a clear message to all politicians that enough is enough and in a civilised society people deserve to end their lives on their terms. “What are we waiting for? How many more people like Barbara Harrison will have to die alone having suffered so long? Surely we as a society are more compassionate than this. It’s time that we had certainty for doctors and patients about this” Adele said. Up until now, legislation to legalise euthanasia has only debated in the Legislative Council during a Private Member’s Bill by Greens MLC Robin Chapple. The last time it was voted on in 2010 it was defeated 24-11. “This is an issue where both major political parties are clearly out of step with the community. We now see that more than 70% of people agree that euthanasia should be legal and yet neither Premier Colin Barnett nor Labor leader Mark McGowan have the courage to bring on the debate and introduce legislation in the Lower House in Parliament,” the Fremantle Independent MP said. “The Environment Minister’s decision to remove limits on carbon pollution imposed by the EPA is unprecedented and hands Kimberely gas hub proponents a licence to pollute” says Independent MP Adele Carles. The gas hub will generate between 16% and 52% of Western Australia’s emissions based on 2007 levels and these high levels are unacceptable. 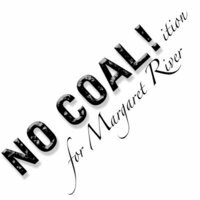 “This will be one of the single largest greenhouse gas contributors in Australia, comparable only to the largest coal fired power stations and for the Government to wash its hands of this pollution issue is quite extraordinary” says Ms Carles. “The Government has also downplayed the impact of toxic air emissions for the contaminants Benzene, which is a Class A carcinogen and Volatile Organic Compounds which have negative impacts on human health” says Adele Carles. “This looks like a case of ‘out of mind out of site’ with Kimberley locals and workers being expected to bear the brunt of this toxic legacy” says Adele Carles. Adele has lodged an appeal against the recommendations of the EPA to allow the Browse Liquefied Natural Gas Precinct at James Price Point near Broome in WA.